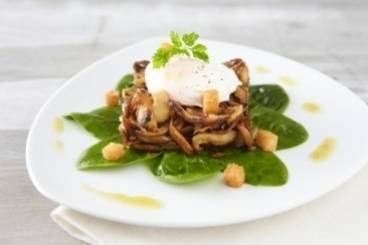 Discover our fantastic selection of Mushroom Recipes and Cooking Ideas all written by our expert professional chefs at L'atelier des Chefs, based in London. Sauteed oyster, shiitake and button mushrooms served on a bed of fresh spinach and topped with a poached egg and warm sherry vinegar. 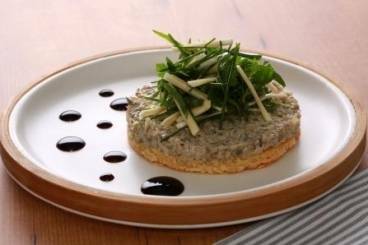 Savoury pancakes with a creamy mushroom, emmental and chive filling. 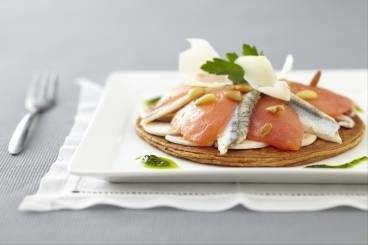 A puff pastry tartlet topped with marinated mushrooms, tomato and anchovies served with a rocket, parsley and olive oil dressing. 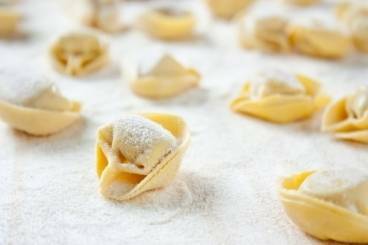 Fresh tortellini stuffed with mixture of wild mushrooms and served with creamy tarragon sauce. A delicious creamy mushroom soup made with pan-fried shallots, garnished with poached agg and crispy ham. Oven baked mushrooms topped with a parmesan, parsley and hazelnut stuffing.